The past and the present. Japan and East Asia. Beyond the axis of time, with an eye towards the future. 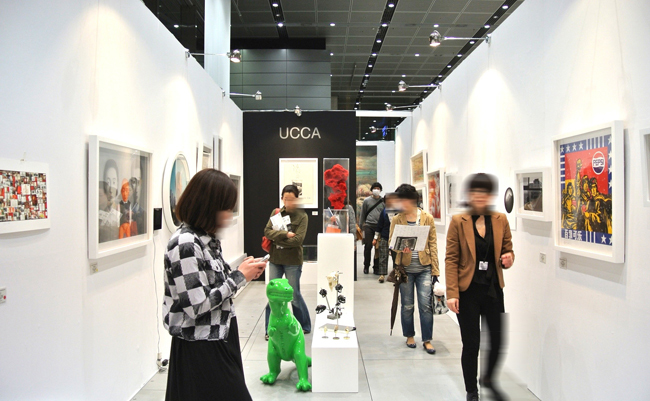 Art Fair Tokyo 2012 was held at the Tokyo International Forum over three days starting March 30th. Now in its 7th year and coinciding with the the annual cherry blossom season, the fair decided to expand the exhibit area to 5000 square meters, approximately twice the size of last year’s event, with a total of 160 exhibitors. 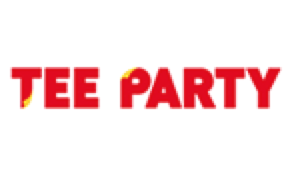 Including the number of invited guests and press for the opening preview on 29th, the fair recorded more than 53,000 guests, the most in its history. The spirit of Art Fair Tokyo, where antiques, contemporary art, and various genres of art met on display and on sale, was embodied by the special project area ‘Shuffle II’, curated by Yuji Yamashita, with the goal of presenting an ‘experimental display of contemporary art’. The contemporary art section ‘PROJECTS’, whose focus was on youth galleries, had been located outside till last year, but was incorporated into the main floor this year. Three exhibits from Japan’s leading contemporary jewelry galleries, along with nine galleries from art museums in Seoul, Taipei and Beijing were also displayed with the theme of ‘discover Asia’. Additionally, the new ‘project in PROJECTS’ area was spun-off from the ‘PROJECTS’ section, focusing on installations and featuring many unique talents of an international character. “No matter the era, no matter the genre, there has always been experimental art.” ‘Shuffle II’, one of the ‘artistic practice’ programs which began last year, defines Art Fair Tokyo’s aesthetic, which display art from every era and genre in a chaotic mix. Everything from 5,000-year-old Jomon pottery to contemporary art are on display to raise the awareness of the value in art regardless of time, genre and value. Objects that might appear to us as antiques in the present day were likely considered contemporary art at their creation. The statues of the Four Heavenly Kings from Heian period stood alongside works from other genres and eras, including art by Fuyuko Matsui (currently on display at the Yokohama Art Museum), and a Buddha statue made out of cardboard by Yuji Honbori. Yamashita also included no captions or commentary with any of the twenty works on display, with the express of idea art being enjoyed and sampled like food, instead of being understood with the virtues and theories of strict genre guidelines. SCAI THE BATHHOUSE, a gallery that deals with domestic and international contemporary artists such as Tatsuo Miyajima, Kohei Nawa and Anish Kapoor presented a joint exhibition featuring Mr. Nawa, who provided pieces to the ‘DOVER STREET MARKET Ginza COMME des GARÇONS’ store which opened in March 2012, and the sculptor Noriko Abe. 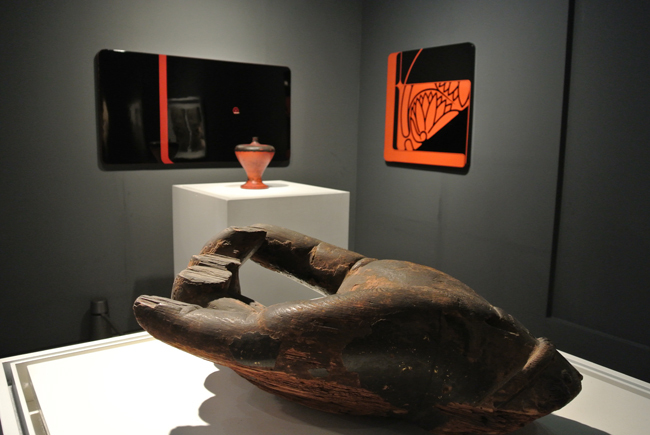 Upon entering the booth, Mr. Nawa’s paintings welcomed visitors with a great strength. These four paintings aligned side by side, each 2m by 2m, are his new work called ‘Direction #9 – #12’, whose streaks were the result of gravity pulling the paint down the canvas. Positioned in front of the black and white lines for contrast was a bright red cabinet piece by Noriko Abe. If you look inside, you will see a mysteriously shaped laminated mold. 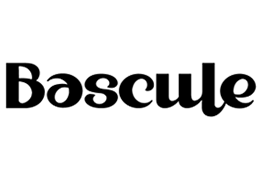 Abe has been living in New York since 2004, creating art with a type of white paper called yupo. She cuts each piece with a razor blade and layers them upon each other hundreds or even thousands of times. While this shape might remind people of the earth’s densely layered strata, using the cabinet as a metaphor of the human body, the shape represents the ‘heart’ and ‘memory’ in a visible form that crosses over the boundaries of the axes of time. 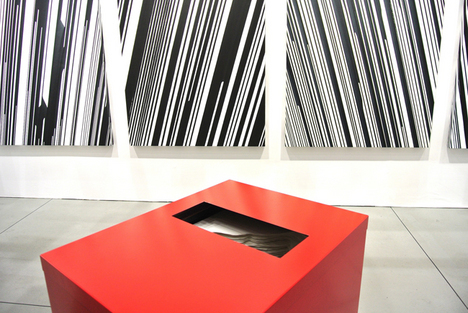 The joint exhibition succeeded in conveying the gallery’s deep prudence through their curation of the space. 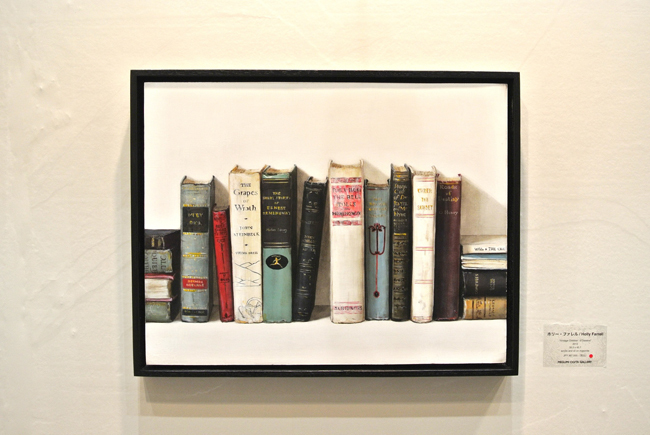 Holly Farrell, whose solo exhibition ‘Book Shop‘ was on display at the Megumi Ogita gallery this past March, was featured in the Megumi Ogita gallery’s section of the ‘PROJECTS’ area. Farrell was born in North Bay, located in northeast Ontario, Canada. She is completely self-taught and originally started to draw as a way of escaping stress. 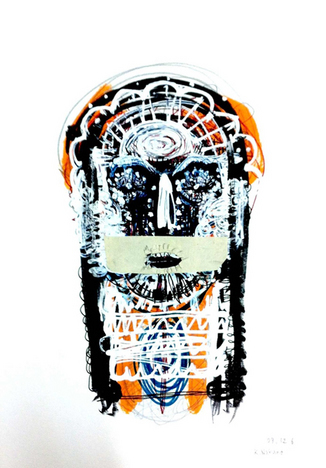 Her art thematically draws from objects in everyday life which she turns into portraits. 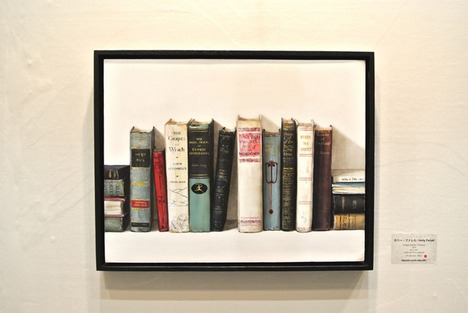 This piece, painted with oil and acrylic, features well-known books including a short story collection by Ernest Hemingway, Roads of Destiny by O’Henry and The Grapes of Wrath by John Steinbeck. Her works cut out fragments of space that are laid out casually as a part of her life and arrange them with a perfect balance of colors and textures as if they were scenes of a film, with the same sense of age and smell that might be conveyed through such a medium. Her works are very personal yet allows the audience to share experiences quietly as if they are a part of the stories from her works. In the ‘PROJECTS’ area, where twenty-five exhibits were housed, one booth was painted all over in pink. Chiaki Kohara, a new face who received the Yayoi Kusama prize at the UNIQLO Creative Awards in 2007, represented by DMO Arts that opened to the public in Osaka last year. In 2011, she received the ‘Art Wall’ grand prize from Canvas@Sony and a canvas of her art was displayed on the side of a Sony building that same year. Here Kohara has drawn in vivid colors a big-eared girl with frightening arms and legs abnormally stretched out, all while maintaining a unique sense of balance. She mentioned that she didn’t attend a school for fine arts, and that she was somewhat of a heretic at the design specialty school which she attended. She also talked about how insects have inspired her signature style of long arms and legs, while they might also represent the complicated feelings of dishonest girls and the anxiety felt when wishing for a connection with others. She performed live painting at the booth as well. As Kohara said, ‘Painting is one of the tools of communication,’ and through live painting she can incorporate communication with the audience into her art, effectively using her work space to dissolve the border between her and the audience. At the ‘project in PROJECTS’ area, nestled apart from the main ‘PROJECTS’ area, ARATANIURANO submitted art works by Takahiro Iwasaki, whose detailed and playful miniature dioramas are methodically created from everyday items. 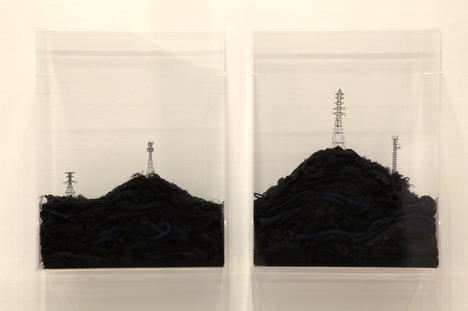 The strata of the earth in his piece entitled ‘Out of Disorder (section)’, in charcoal, navy and dark brown knit-goods piled up carefully in an acrylic case. Iwasaki said that the delicate steel tower and communication tower on the coping were made with untangled cloth fiber. He chooses items from daily life, picking apart the memories left in the material with a delicate technique and humor, then uses them in rebuilt shapes to illustrate personal and societal scenes with fresh surprises and discoveries. At the booth, they also exhibited a technique from Yokohama Triennale 2011, wherein the audience, much to their delight, was invited to view distant art through a telescope. The ‘Atomic Guitar’ series by Fuyuki Yamakawa, submitted by SNOW contemporary, was also exhibited as installation art at the same area. Yamakawa is well known for delivering percussive performances delivered with a bone conduction microphone which reverberates through the skull into the inner ear. 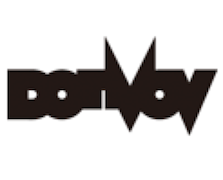 However, he was shocked to discover that the amplifier system necessary to appropriately convey his performance couldn’t be used due to post-earthquake energy restrictions in Japan. His guitar on display was made with an American-built Geiger counter from the 1970s and soil collected from in front of the Imperial Palace. 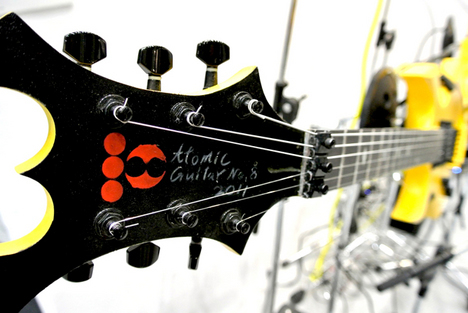 On the headstock there’s a logo resembling that of a well-known energy company and a handwritten label of ‘Atomic Guitar No.8’ next to it. Using the 0.20 microsieverts of radioactive energy captured in the soil, the guitar played quiet, resonating harmonic overtones. In contrast to the its own radical appearance, the harmonics created by the tuning of the guitar were very calming, and despite the lack of melodies, the tone itself was strangely relaxing. 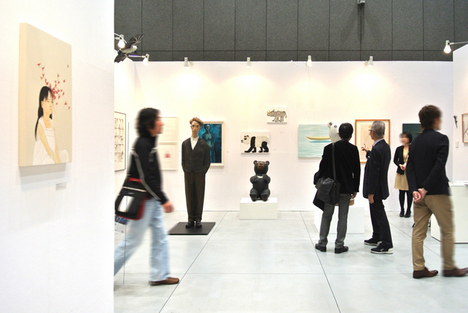 Gallery Skape opened in Seoul, Korea in 2004, exhibited in the ‘discover Asia’ area. 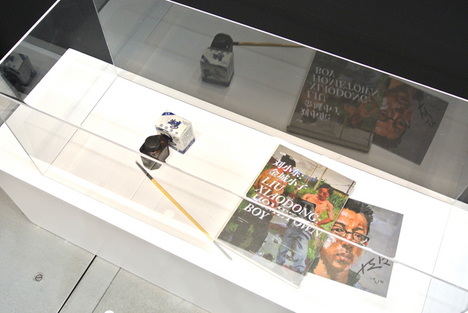 While they exhibited the work of five artists, it was the resin work by Hyungkoo Lee that drew the most attention. 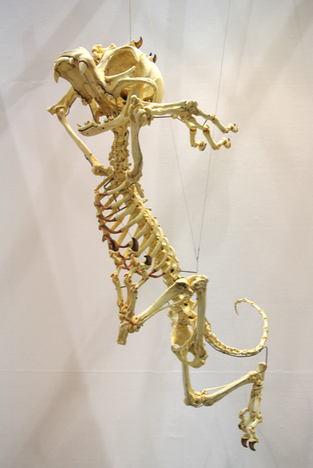 This exhibit, ‘Animatus’ (Latin for lively or animated), was part of ‘The Homo Species’ exhibit presented at the Venice Biennale Korea pavilion in 2007, which was arranged to give the appearance of a natural history museum. 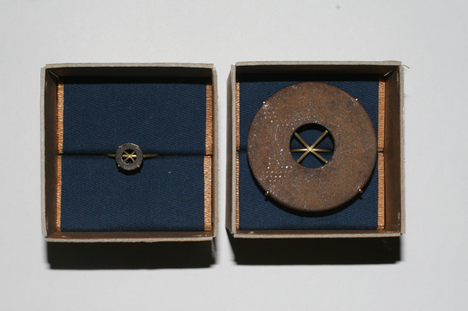 Lee was born and raised in Korea and obtained an MFA at Yale University. 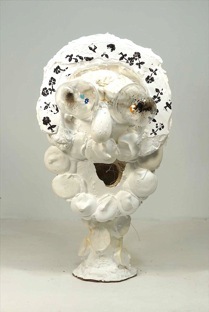 During his studies abroad, he created pieces such as ‘Enlarging My Right Hand with Gauntlet’ and ‘Altering Facial Features with Device’ in response to his complex about being surrounded by Western males of a larger build, and the sense of ‘male superiority” he grew up with as an Asian man. It is said that the ‘Animatus’ series was created based on famous Hollywood cartoons such as ‘Tom and Jerry.’ There is a thought that the influence of American culture on Korea for the past fifty years was suggested by the artwork. At the same time, another idea suggests that the artwork is pointing out the world between imagination and reality, as well as the time between past and future by creating a skeleton for an immortal animated cartoon character who does not truly exist from an anatomical standpoint. Aside from the authentic ‘inferiority complex’ that became the driving force behind his initial work, Lee’s artwork now stands on a strong, charming base of humor and a sense of fun. Modern painter, Zhang Xiaogang, attracted worldwide attention in 2006 when his work sold for a record-setting price, the highest ever for a Chinese artist, at an auction held at Sotheby’s in New York. His ‘The Blood Relative’ series which is based and inspired by old portraits, expressing the blood connection within families and the issues of the modern Chinese society. It was displayed and sold at Ullens Center for Contemporary Art, a museum in Beijing that participated in the Art Fair as a special partner. Along with various products and works from their newly opened museum store, in the center of the booth displayed the work of Liu Xiaodon from his exhibit “Hometown Boy” which was released in his hometown, Kinjo (part of Linghai city in Northern China) in 2011. Xiaodon graduated from the China Central Academy of Fine Arts and was one of the artists who, on behalf of China’s contemporary oil painting industry, participated in Venice and Shanghai Biennales, as well as the “1990-2000” retrospective show in Beijing and San Francisco in 2000. Though he has been painting everyday people leading everyday lives through out his career, Xiaodon says that it was very difficult for him to make up his mind to come back to his own hometown, paint friends, and to exhibit in China where the difference between the poor and wealthy is so intense. The paintings in his book, which was on display (pictured above), presented scenes cut from the daily life of the village, past and present, unchanged over many years, and with a touch of humor. Though their approach is different, the idea of capturing the changes in modern Chinese society is represented by both Xiaogang and Xiaodon. A documentary released at Xiaodon’s exhibit in 2011 was also screened as a special video program at the fair. TKG+ from Taiwan participated the Art Fair for the first time this year. 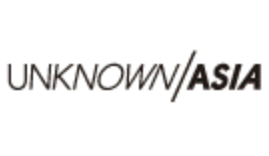 TKG+ is a contemporary art department of the Tina Keng Gallery that opened in 1992. They submitted pieces by Charwei Tsai, a Taiwanese writer, who participated in the Yokohama Triennale last year, and Wu Chi-Tsung, whose show ‘The elegance of silence: contemporary art from East Asia’ exhibited at the Mori Art Museum in 2005. Chi-Tsung was born in 1981 and, after having studied painting and sculpture, he began to create pieces using photographs and movies experimentally while studying architecture at a graduate school in 2002. 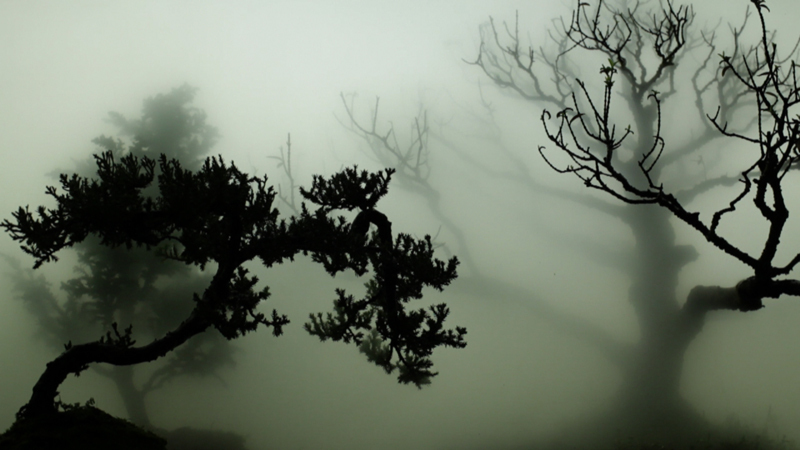 Chi-Tsung, who has been an artist in residency in England and Scotland, stated that ‘Scenery in the Fog’ came from carefully observing both Western pictures and Chinese black-and-white. A bonsai plant which he has cultivated is used in this mysterious video, whose forest gives an Asiatic impression while being surrounded by a deep, European fog. This series could be like a good old memory residing deep in the heart, but gives the feeling of an unpredictable future at the same time. He has brought the techniques and essence of the East and West, and of black-and-white drawings and oil paintings closely together through this work, while breaking down preconceptions and cultural barriers, and continuing to create a new world of landscape painting. The Art Fair Tokyo advocated ‘Tokyo in Asia’ as one of its core concepts this year. Having Deutsche bank group as one of the official main sponsors since last year has been a great source of support in realizing their approach for 2 consecutive years. The future changes and development of the Japanese art market across Asia, along with the trends in other Asian art fairs leave us in attentive anticipation.